Loch Lomond National Park is one of the most beautiful places in Scotland. I highly recommend you visit at least a corner of it. Loch Lomond Distillery does not make the most beautiful single malts in Scotland. I highly recommend you do not try most of them. 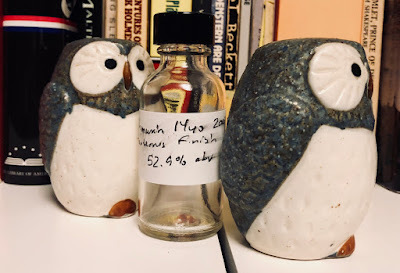 That the distillery has, until recently, never shown an interest in conforming to what's popular or normal has made it seem like the last refuge of the whisky hipster. I inserted the words "until recently" in the previous short paragraph because Loch Lomond has started rolling single casks of its multiple brands into the retail game. So far there haven't been any reported casualties, and the reviews haven't been bad. Since Loch Lomond is now a thing (I guess? ), I'm going to review four of their whiskies, all of which were released over the past few years. I could review five, but, you know, safety first. Hey look, here's a release that's still in stores. In The Netherlands. 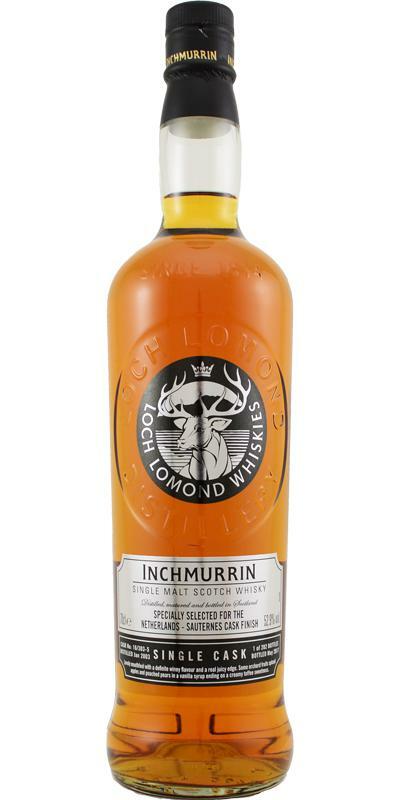 Inchmurrin is one of Loch Lomond's theoretically unpeated brands, though I have occasionally found something peat-ish in it. This Inchmurrin spent most of its life in regular American oak barrels, then had an unspecified finish time in a Sauternes cask (probably hogshead-sized). I'm a fan of neither unspecified finish times nor aggressive Sauternes casks, so this could be disastrous. The nose is......not disastrous. Pears, caramel, apple cider vinegar and McIntosh apples start things off. There's some heat to it, and brine and butterscotch. Pine sap and a slight oakiness. The palate is also inoffensive, even cheerful! Tart citrus, vanilla pudding, flowers and salt are in the foreground. It has some pine, mint gum and drying tannins. It's VERY sweet, as is the finish, which has mint, citrus, vanilla and pine. The nose reads more solidified, or at least it's tougher for me to separate the notes. White fruits and pine sap. Calvados and maple syrup. The palate is sweet and tart. More peppery, like green peppercorns. Caramel, mint and lemon-lime soda. It finishes warm and sweet. White fruits, flowers, sugar, lime candy and a little bit of oak. My stars, Loch Lomond has made a modern whisky. This thing is sweet and oaky with nothing that would frighten away the casual drinker. Normally I'd say such a whisky was well engineered, but here it was all about cask selection. While it's not my style of whisky — it's much much too sweet for my delicate temperament — I'll focus on the positives. The Sauternes influence is very mild (yay! ), the whisky swims well, it'll never put up a fight and it's absent even the slightest hot dumpster note. What a curious start to the week.